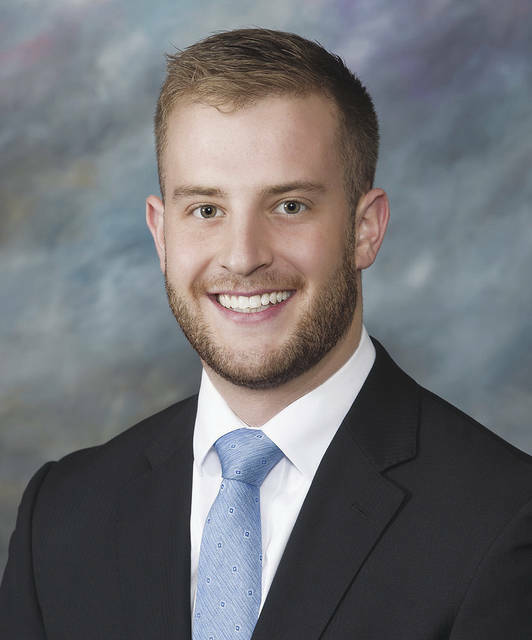 Colin David Vernon, son of David and Tammy Vernon, has joined the staff of Vernon Family Funeral homes. Colin was raised in Champaign County and grew up living in the funeral home. He began school at Graham elementary and later moved to Mechanicsburg when his parents purchased Skillman, McDonald & Vernon Funeral Home in Mechanicsburg and Freshwater, McDonald & Vernon Funeral Home in North Lewisburg. He has participated in the Champaign County Fair through 4-H and FFA and enjoyed playing sports throughout his youth and high school years. He graduated from Mechanicsburg High School, class of 2013. He then received a Bachelor of Arts in Political Science from Ohio University, class of 2017 and an associates degree of Mortuary Science from the Cincinnati College of Mortuary Science. Colin has been working at the funeral home since he can remember, washing the fleet of cars, mowing the lawns and keeping the buildings maintained. He recently began his professional career as an apprentice Funeral Director & Embalmer with Vernon Family Funeral Homes. “It has always been something that I’ve wanted to do since I was a young kid, growing up in the funeral home watching my mom and dad help so many families through their hard times. I always wanted to be like them,” he said. “However, the dedication, commitment, sleepless nights and the time away from your personal life that it takes to be a great funeral director scared me a little bit during my high school years. Uncertain of what I wanted to do for the rest of my life, I decided to go down a different path at the beginning of my collegiate career, as I chose to major in Politics and Pre-Law with the goal to attend law school. Colin is a third-generation funeral director, embalmer and graduate of Cincinnati College of Mortuary Science following a family tradition. He is the grandson to Robert Cisco, former owner of Baker-Cisco Funeral Home in St. Paris (1973-1980) and recently retired from Cisco Funeral Home, Celina and St. Marys, Ohio; and nephew to Rob Cisco, owner of Cisco Funeral Home, Celina and St. Marys, Ohio. “In my experience, I truly don’t have very many difficulties working with family. Growing up in the funeral home and seeing it every day, it is everything I expected it to be. I truly look at it as a blessing. I don’t know of any other job or career in the world that I could have where I get to be with my family every day and that’s what I love most about my job – along with the fact that I get to help serve the families of the community in which I was born and raised in,” Colin Vernon said.